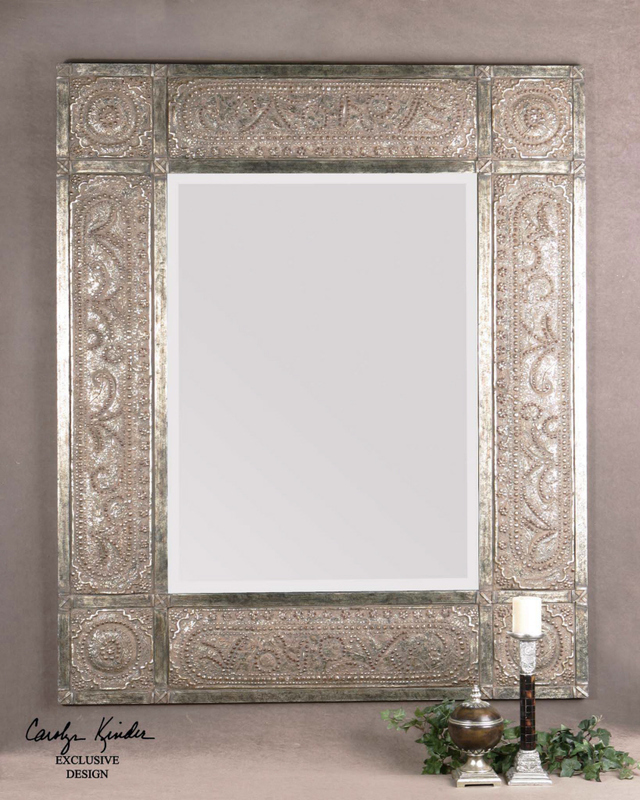 This magnificent mirror fills the room with a bohemian spirit. 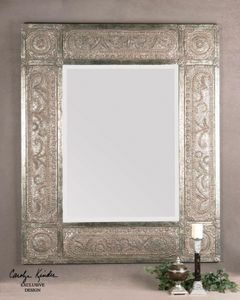 The ornate frame features heavily distressed, golden-champagne leaf with black undertones, deep red dry brushing and a heavy rusty tan wash. Mirror has a generous 1 1/4" bevel. Dimensions: 50"W X 60"H.